©RICHARD BUSKIN QUARRY BANK GRAMMAR SCHOOL, WHERE JOHN LENNON MADE MISCHIEF BETWEEN 1952 AND 1957. Pete Shotton, John Lennon’s childhood friend, recollects an incident early on during their time at Quarry Bank Grammar School, when he and John were ordered to report to the Deputy Head as punishment for one of their crimes. Most kids in this kind of situation either just apologize or plead their innocence, but of course Master Lennon had to go one better. The teacher — who was sitting between the two boys — happened to be bald, and so John happily accepted the chance to perform one of his favorite tricks: tickling the man’s head whenever he looked the other way. As usual, the victim tried to swat the imaginary fly and as usual John’s sleight of hand left his victim totally confused and irritated. “I couldn’t breathe, what with the laughing,” Pete recalls. “It would get so that my muscles wouldn’t work, I was straining my stomach so much.” John showed his own amusement by quite literally wetting himself, there and then, on the spot. “What the devil is that?” inquired the teacher, hearing a dripping noise and seeing a small puddle on the floor. “I think the roof’s leaking, sir,” was John’s immediate reply. Never mind the fact that it wasn’t even raining! On another occasion, the demonic duo was sent to the headmaster to be caned. While Shotton waited his turn outside the office, John went in to receive his punishment, and when he came out he was crawling on all fours, groaning. On seeing this, Pete once again couldn’t control his laughter, and as a result got an even worse beating. For John, indeed, academic success was irrelevant, since much of the subject matter and the method of teaching it were alien to his way of thinking. Rather than flow with the tide, he preferred to confront it head-on; at least that way he would gain some pleasure out of the whole experience, as well as local notoriety. John Lennon photographed in London on July 19, 1971. Pete Shotton, a friend of John Lennon‘s who knew him from early childhood in Liverpool and stayed connected with him during his career with The Beatles and after, has died after a reported heart attack at age 75, The Liverpool Echoreported Friday (March 24). That opportunity came when Shotton was walking home one day. Lennon suddenly popped out of a bush and warned him, “Listen, you. If you keep calling me ‘Winnie,’ I’m going to have to smash you up.” “Well, then, ‘Winnie,’ you’ll have to prove it first. And I’d like to see you try,” Shotton replied. Lennon then jumped on top of Shotton, pinned his wrists, and told him he wasn’t to use the name anymore. Shotton, who said he never thought Lennon would actually hit him, told Lennon he agreed not to. “Cross my heart and hope to die,” he told Lennon. But then, Shotton taunted him with “Winnie, Winnie, Winnie!” “I’ll get you for that, Shotton!,” Lennon said shaking his fist. “Well, you’ll have to catch me first,” Shotton replied. Shotton says he approached Paul McCartney soon after he’d met John Lennon about an idea to join the pre-Beatles group The Quarrymen, which then included both him and Lennon. “By the way, I’ve been talking to John about it and we thought maybe you’d like to join the group.” He wrote that McCartney thought for a minute, then said, “Oh, all right,” and took off on his bicycle to go home. Shotton played a role in the creation of two Beatles songs: “Eleanor Rigby” and “I Am the Walrus.” Shotton said he suggested the name “Father McKenzie” when Paul McCartney was trying to come up with the name of a cleric for the song. It was also his idea, he says, to have Rigby die at the end of the song, a suggestion he writes was originally rejected by Lennon. 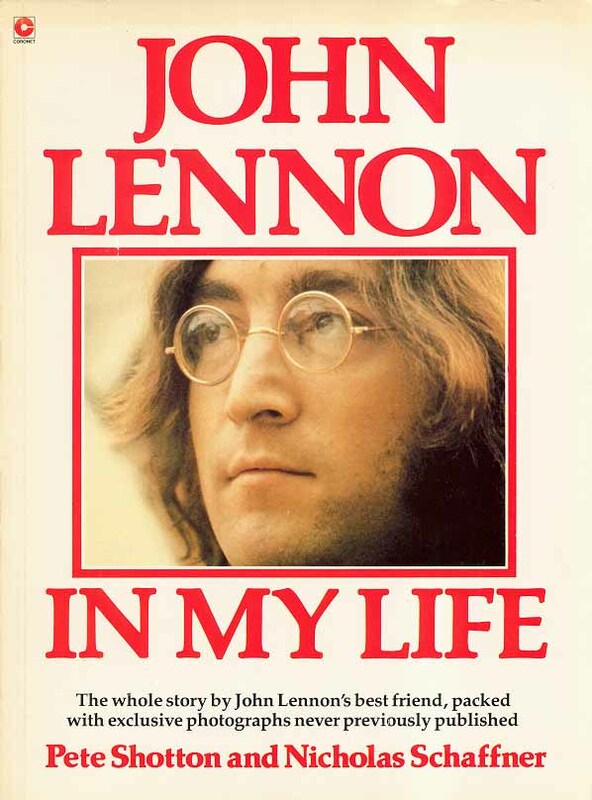 He wrote that his input for the song “I Am the Walrus” went back to the two friends’ days at Quarry Bank School and a song called “Dead Dog’s Eye” that included the phrase “yellow matter custard.” Inspired by a letter from a Quarry Bank student who said his teacher there had been analyzing Beatles lyrics, in contrast to Lennon’s days as a student there when he was told he would fail, Lennon decided to add the most ludicrous images he could think of to the song to get back at his schoolmasters. “Let the f—ers work that one out, Pete,” he said. Shotton managed the Apple Boutique, which lasted just over six months before closing in 1968. He said it became very clear early on that The Beatles’ philosophy of “idealism and lunacy” wasn’t going to work with a commercial store. He also became the first managing director of Apple Corps. “John had a fairly limited range of very close friends, but Pete Shotton was not only one of the earliest, but one of closest over the longest period of time,” Bill Harry, founder and editor of Liverpool’s Mersey Beat newspaper that covered The Beatles’ rise to fame, told Billboard. “John did set him up in business, but Pete’s own business acumen made him an entrepreneur. He continued the close relationship throughout John’s time in the U.K., visiting him at Weybridge, even attending recording sessions, including for Sgt Pepper’s Lonely Hearts Club Band. David Bedford, author of The Fab One Hundred and Four, about many of the people, including Shotton, known and not-so-well known connected to the Beatles, told Billboard the two were the closest of friends. “Pete was John’s best friend from the age of 5, and they were inseparable. They tormented teachers at Quarry Bank School, getting themselves into trouble almost daily. John could keep a straight face while Pete would have hysterics at anything his partner in crime did. 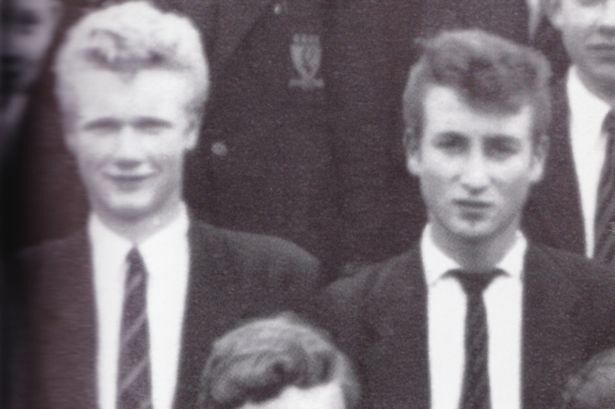 When it came to starting The Quarrymen, Pete had to be involved as he was John’s best friend. As he wasn’t musical, Pete was given the washboard. He didn’t last long in the group but was always there at his friend’s side. A documentary film now in the works that Bedford is involved with, Looking for Lennon, includes Shotton’s story from accounts by his friends. Before there was Paul & Stu, there was Pete. John in the height of Beatlemania, if I remember right, gave him money to start a grocery store. He contributed to some songs, which escape me right now even if uncredited. Tributes have been paid to Pete Shotton, the best friend of John Lennon, who has died aged 75. It is thought he died from a heart attack at his home in Knutsford, Cheshire and funeral arrangements are currently being made. 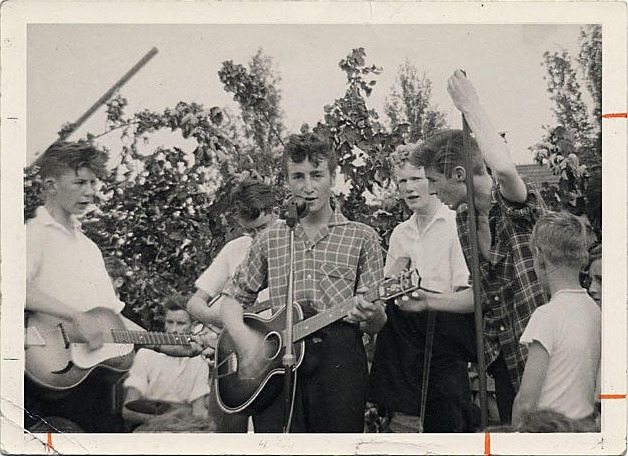 Pete attended Dovedale Primary School and Quarry Bank High School alongside the future Beatle, and he later joined John – as a washboard player – in The Quarrymen. Pete, with the financial backing of his long-time friend, bought a supermarket in Hayling Island, near Portsmouth, and later founded and built up the successful Fatty Arbuckle’s chain of restaurants, which he sold in the early 2000s. Pete was the co-author of John Lennon: In My Life, which was published in 1983, and later republished as The Beatles, Lennon and Me. Pete, who had a son, step son and two grandchildren, even enjoyed a songwriting role with the Fab Four. He contributed to the 1967 song I am The Walrus after visiting John at his home, Kenwood, in Weybridge, Surrey. After leaving school, Pete became a police cadet, but this didn’t work out. Disturbed. Wondering. Exposed. Awed. Informed. Worried. Inspired. A roller coaster of feelings and emotion. That was how I felt watching this film. In that order. Well, there may be a mixture of these along the way. It felt I was watching Dangerous Minds all over again, only outside an educational institution setting. Urban Hymn has good music in it including the finale Car Crash, which reminded me of Christina Perri’s A Thousand Years. BRWC’s review of the film: In the wake of the 2011 London Riots, Jamie, a female young offender finds her life hanging in uneasy balance as she’s torn between the love and loyalty of her dangerously possessive best friend, Leanne, and the nurture and guidance of her care worker, Kate. From the overbearing influence of her childhood friend she feels a belonging and sense of family, while Kate offers her encouragement and support of her musical talents, Jamie has to make the kind of decisions that will shape the rest of her life and define the woman she will grow to be. Setting a coming-of-age drama in such a volatile time for youth culture will always have its advantages from a storytelling standpoint. From Rebel Without A Cause to Fish Tank there has always been uniquely unifying force that compels adolescents to kick back against the societal norms and a seemingly unjust world. When Urban Hymn is at its best, it is managing to encapsulate the vitriol and teenage aggression that ring true to its characters. The lead performances from Letitia Wright and Isabella Laughland are fantastic and provide a believable spite and venom, permanently clashing with their care workers. Initially, our window into the lives of these troubled teens is through the perspective of Shirley Henderson’s Kate, a mousy, sympathetic care worker who runs the risk of being engulfed by the ferocity of her wards. While Henderson delivers a strong performance I feel it is the time spent with the adults where the screenplay dips into the problematic. Whether it be a dinner party discussion with wine and well-meaning friends, or meetings with the staff of the care home, the topic of troubled youths battling against the class system seems rather fudged. Urban Hymn has some pertinent things to say but occasionally fumbles in delivering its messages. The very nature of the, “us against them”, perspective makes for a compelling middle-class melodrama but lacks the courage to show more nuance in the rebelling teens. The on-screen development of Jamie’s song writing talents representing her gradual assimilation into wider society and the use of choral works are an interesting choice but one wonders if its implementation is to make the grit and grime easier for the target audience to swallow. The overall message is a little heavy handed but for the most part it comes from a good place. 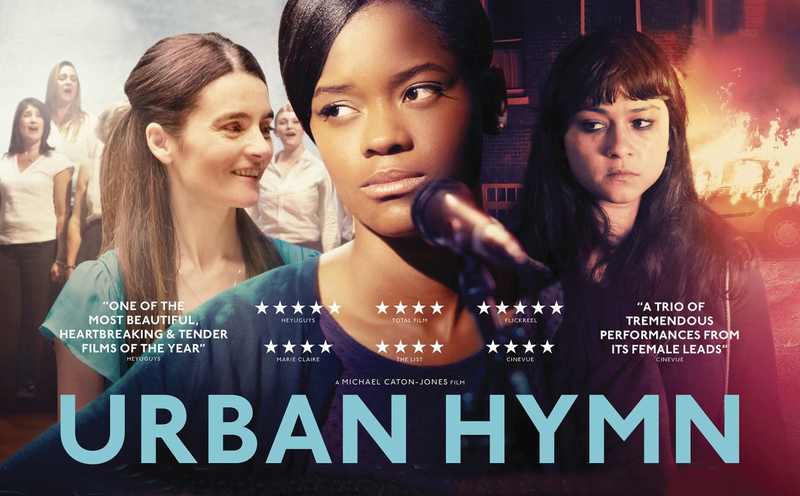 That’s not to say Urban Hymn isn’t worth your time, just those expecting a hard hitting, documentarian style drama should probably look elsewhere.